WASHINGTON - Thousands of Americans living overseas continue to give up their citizenship as foreign banks turn them away over the burden of completing increasingly expensive and complicated tax returns required by a controversial new tax law. 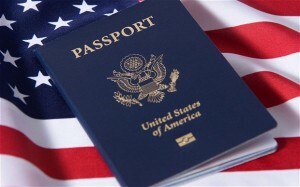 More than 1,500 Americans have renounced their citizenship in so far 2014, the Guardian reports. This year’s total may not top last year’s record-setting statistic – nearly 3,000 Americans gave up their citizenship in 2013 – but the high numbers show that the new tax law implemented by the US continues to force those living abroad to make difficult decisions. Dubbed the Foreign Accounts Tax Compliance Act (FATCA), the tax law was passed in 2010 as an attempt to crack down on tax dodgers and the banks that helped facilitate money laundering. The bill has been rolling into effect slowly over the years, with Congress passing the legislation in the hopes that it would bring in hundreds of billions of dollars in unpaid taxes. Since the US is one of the few countries that taxes its citizens, regardless of where they live, the law has ended up ensnaring all Americans who live and work overseas and use foreign accounts to pay bills at home. As of 2012, all banks working with the US are now required to divulge information on their accounts held by American citizens. If foreign banks fail to do so regarding Americans with assets totaling more than $50,000, they risk the US Treasury withholding 30 percent of its income from the United States. As a result, many foreign banks are now refusing to deal with American citizens or limiting them to a small selection of services. Some Americans have been forced to remove their names from joint investment accounts, lest the bank refuse to work with them or their family. Others, meanwhile, have opted simply to decline filing tax returns and hope for new legislation to make their situation more bearable. With many Americans either unable to find banks to work with or unwilling to deal with the intricate paperwork, a growing number then tried to renounce their citizenship. Even that process has become tougher, though, now that the State Department has raised the cost of doing so to $2,350 – up dramatically from the previous fee of $450. What’s more, many overseas Americans were not even aware of the changes in US tax law until the countries they’re living in began authorizing the new regulations and passing laws.